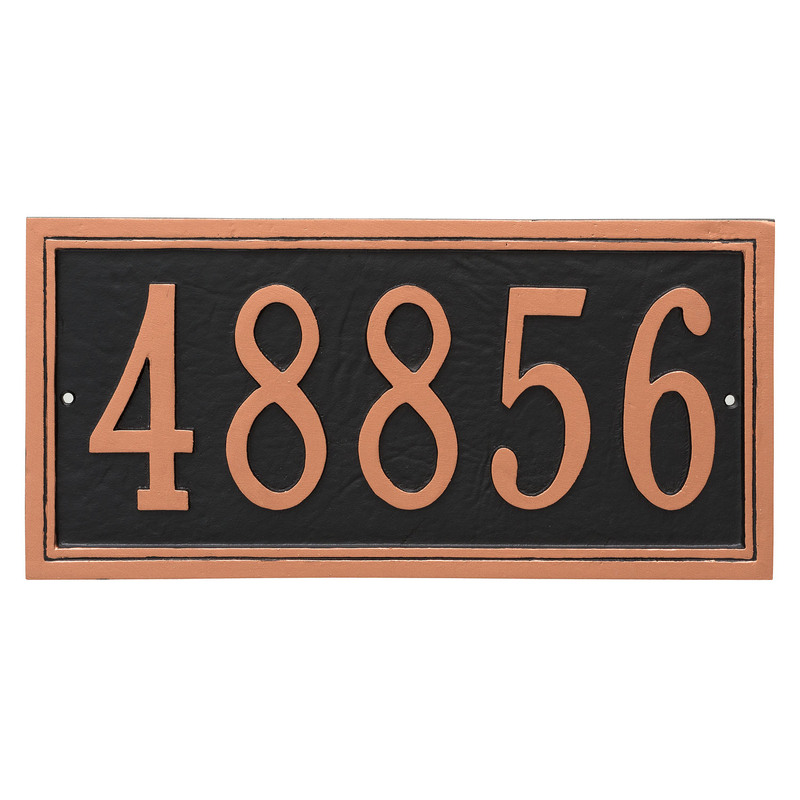 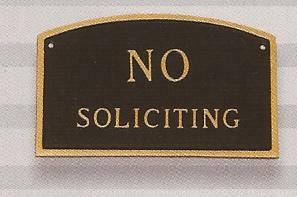 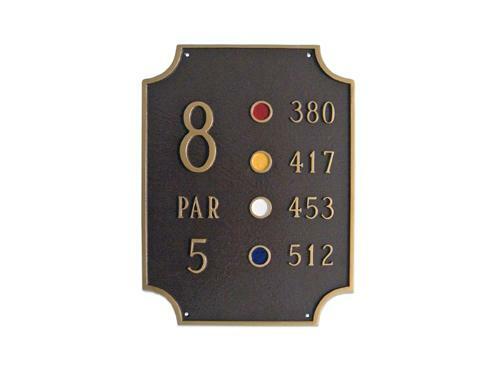 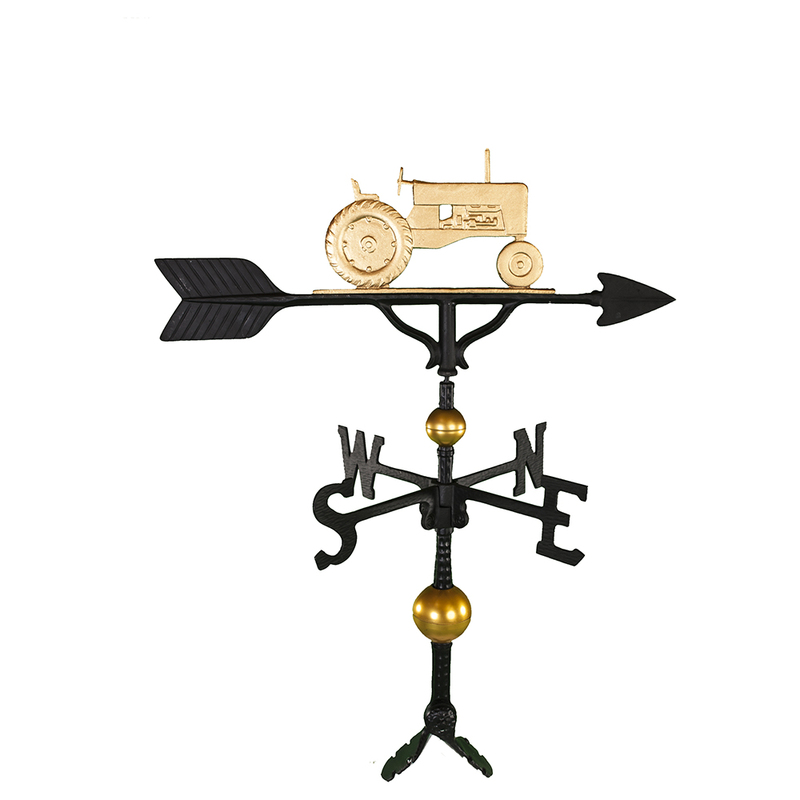 Our 300 Series 32" Farm Tractor Deluxe Weathervanes are hand cast in rust free Aluminum with a baked black satin, gold/bronze, Swedish iron or color Country Farm Tractor ornament finish. The Farm Tractor ornament on top and arrow are cast individually. 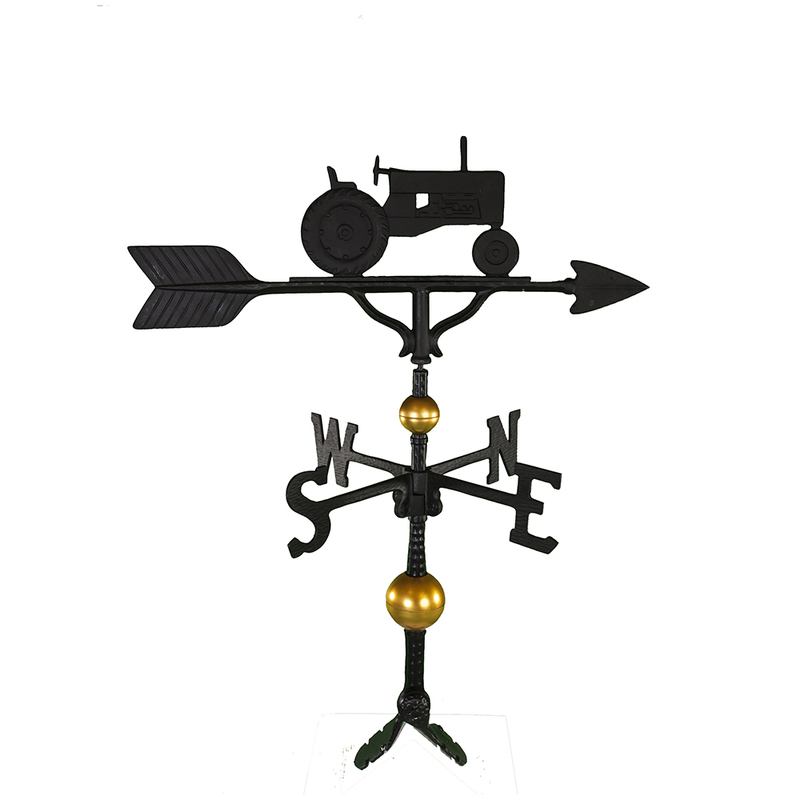 This deluxe weathervane has gold/bronze finished spheres in the staff section for exceptional eye appeal. 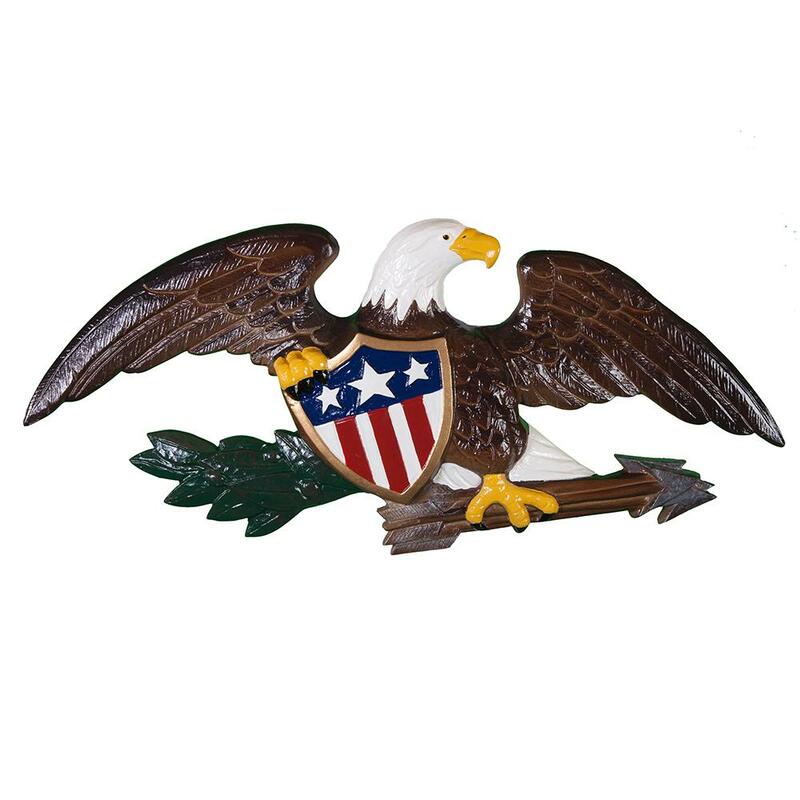 The arrow is 23.25" long. 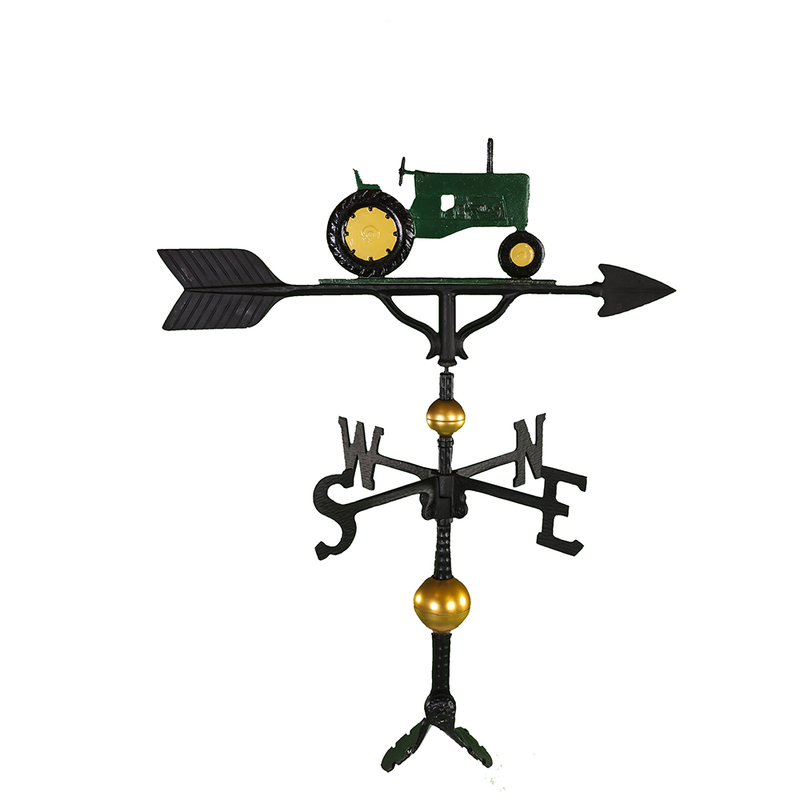 The size of these deluxe weathervanes is appropriate for installation on 24-30" high cupolas, 2 car garages or medium sized homes/barns. 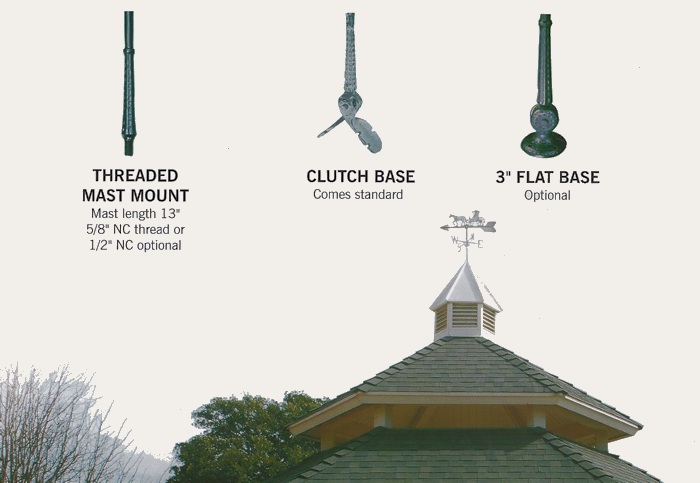 The standard clutch base will fit most pitched roofs or cupolas, however, optionally you can select the threaded mast mount or flat base for your specific installation needs instead. 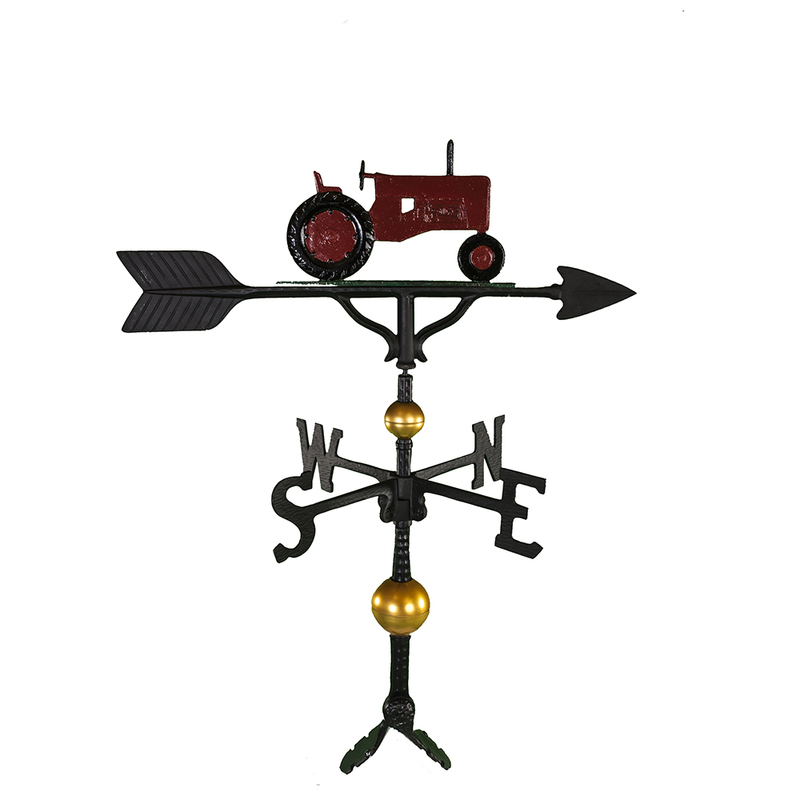 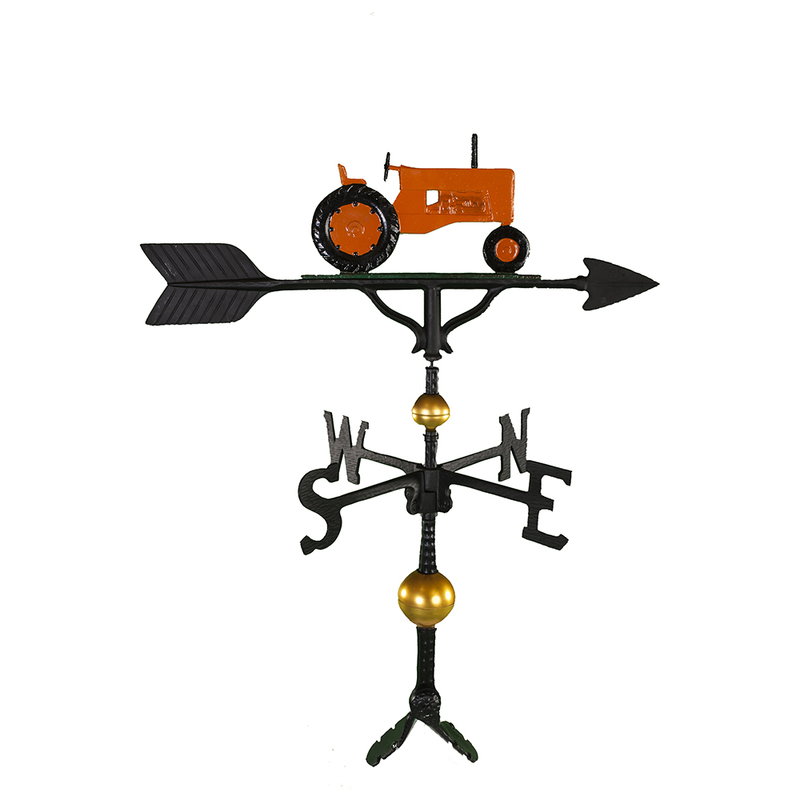 Our Farm Tractor weathervanes are perfect for your country barn.